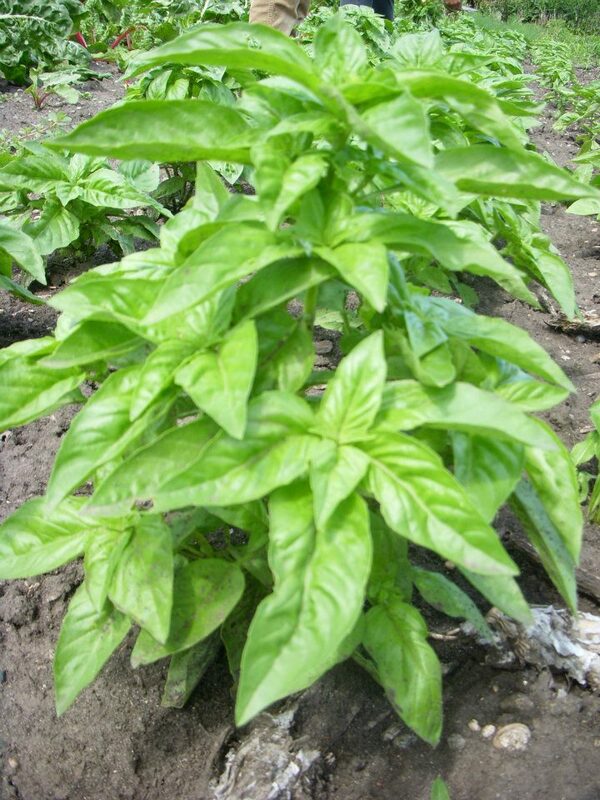 What have you been doing with your basil? 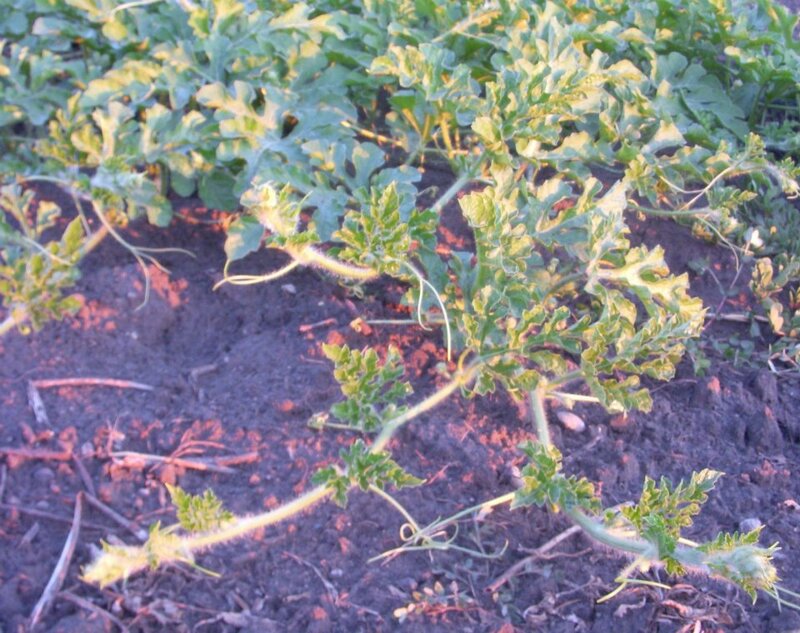 Farm News: Finally a little relief from the heat! Friday and Saturday felt amazing, and we got an inch of rain last week!! Hooray!!! It had been so hot and so dry for so long that you kind of forget what a nice comfortable day felt like. Thank goodness most of the plants enjoyed that long run of heat we had. As long as Adam was able to irrigate them, they were doing great with a couple of exceptions. The watermelon plants are starting to run. Those long vines support big fruit. 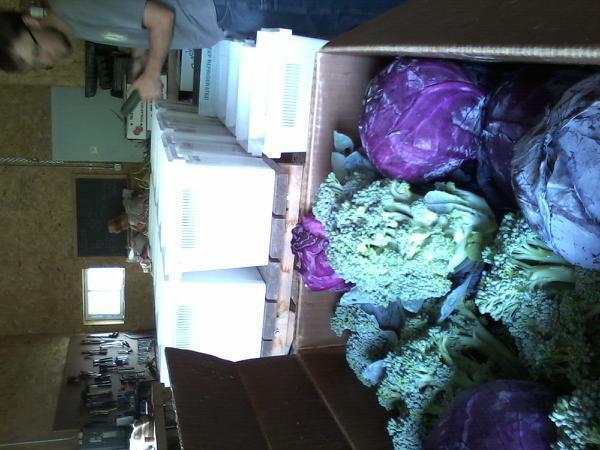 Adam packing share boxes with broccoli and cabbage among last week’s harvest. Farm News: Looks like we are in for a hot dry July. Last week Thursday we discovered an infestation of flea beetle on the green and lacinato kale which is why there was none in the extras box. We hope the bugs will flee from our site…we have read Neem oil may deter them, but for now we will be patient and see what happens. 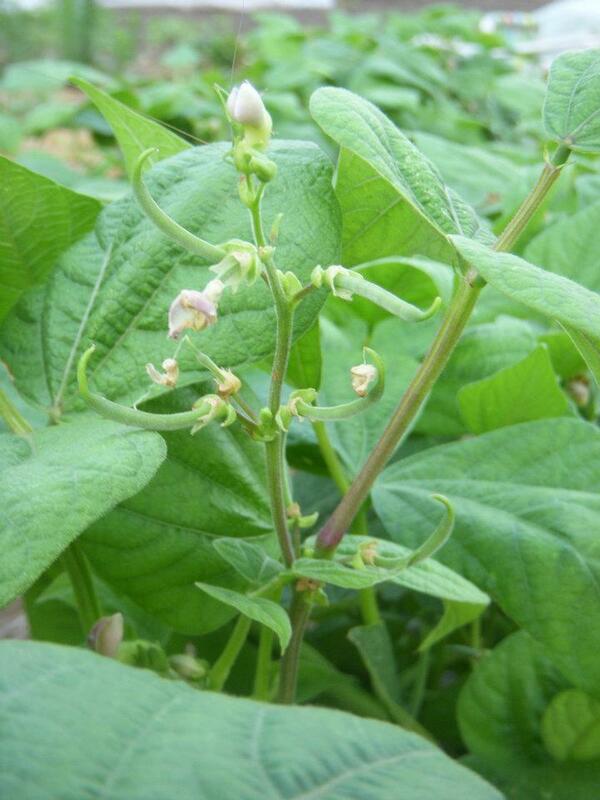 Get Ready For Green Beans! Farm News: The peas are done for the 2012 season. The heat was too much for them. We hope you enjoyed the peas you did receive. Cauliflower is another that does not like the heat too much which is why we have only been able to send out either Thursday or Monday, but not both harvest days. The broccoli on the other hand has done very well this year. The broccoli varieties we are growing this year thrive in the heat. We will also only be providing green/lacinato kale in the extras box for a few weeks. 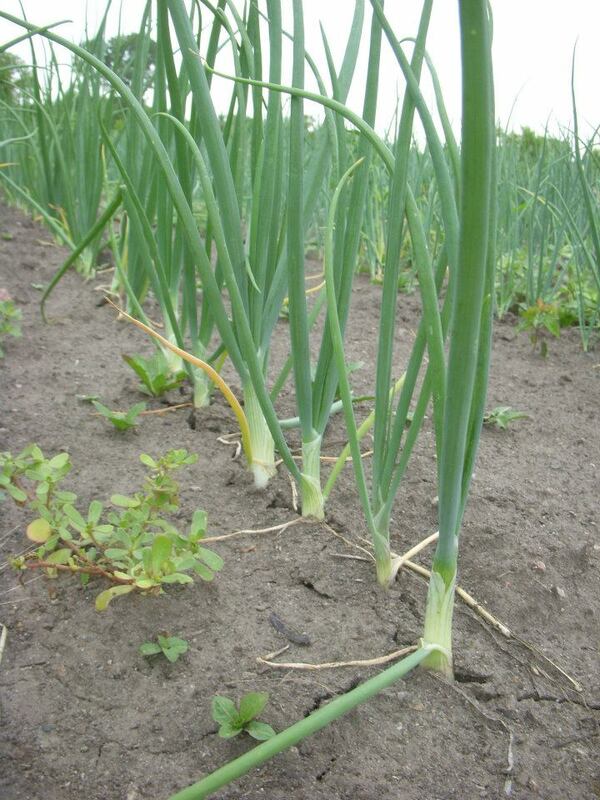 The onions are looking great in the field!